It’s now been a couple weeks and I have had a bit of time to reflect on the 2017 Ride the Rockies. I stick by my assessment I made to one of my fellow riders; I think our brains work similarly to those of mothers. If we remembered all the pain as well as we remember the pleasure, the food and scenery, we wouldn’t do it again. 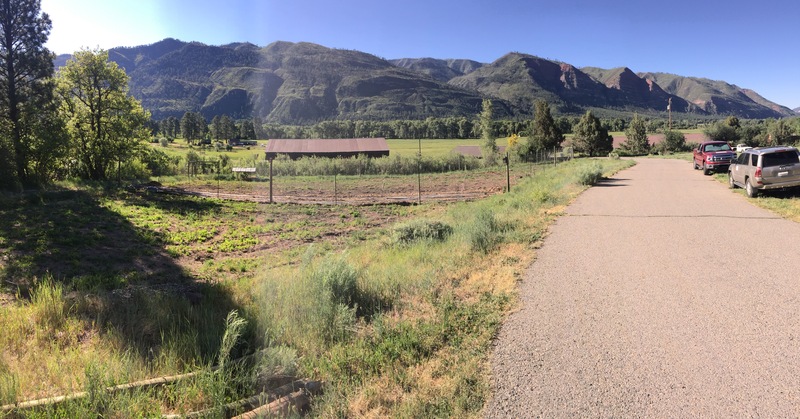 I wrote after our third night, a short spin around the Ute reservation west of Durango. The next day was the hardest. We pushed for 84 miles over Coal Bank Pass, Molas Pass and Red Mountain Pass, about 7,792 feet of climbing. 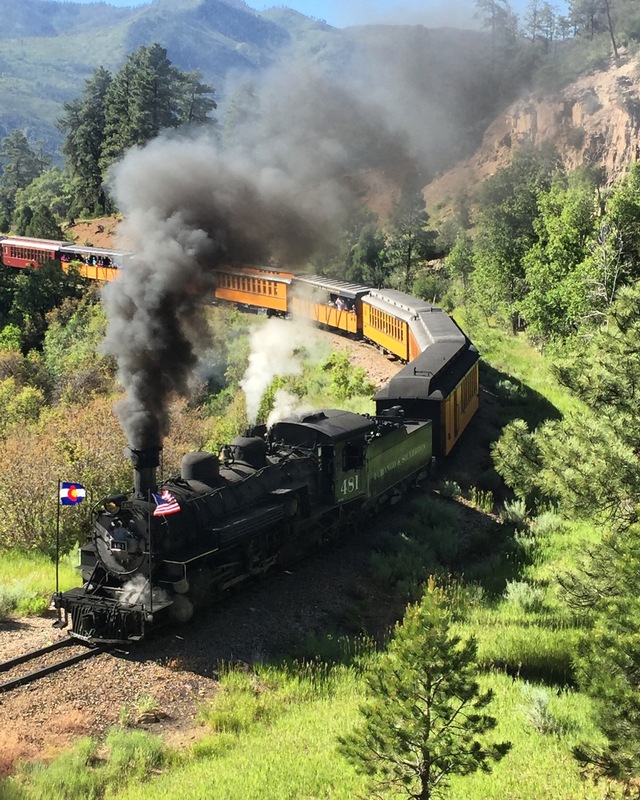 After an easy roll-out from Durango and the thrill of the narrow gauge rail road, the road tipped up. The next 20 miles was almost all up hill. We laughed as we came upon the Purgatory Ski Resort. “This is Purgatory, I’ll take it.” Then the road tipped up again. The pleasant scenery along the easy warm up ahead of Day Four’s climbing. The first pass, Coal Bank, was the steepest of the day at an average of 5% with pitches of 8%. After a very short descent, riders head up Molas Pass, relatively short at eight miles, and again an average of 5%. These were enough to sap the legs. Plenty of vistas to enjoy both on the climbs and the descents. Riders dropped down into the old mining town of Silverton, which is also the finish of the Iron Horse Classic race. 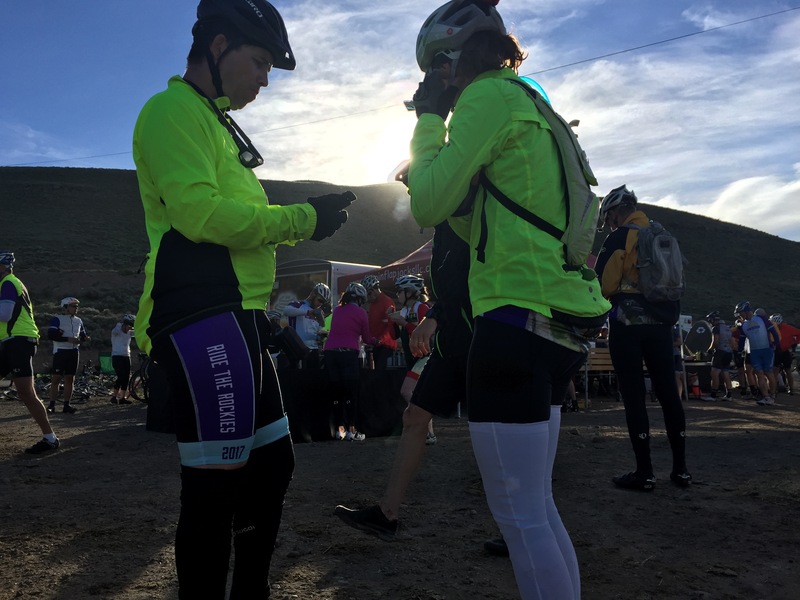 The last climb was not the longest nor the steepest, but as the last climb and the highest, it took riders all their will and energy to finish the 11,018-foot ascent. The view and the venders made the ride do-able. My legs burned, my body was protesting most of the way. After stretching and taking a few photos, it was back on the bike for a thrilling 14-mile descent into Ouray. 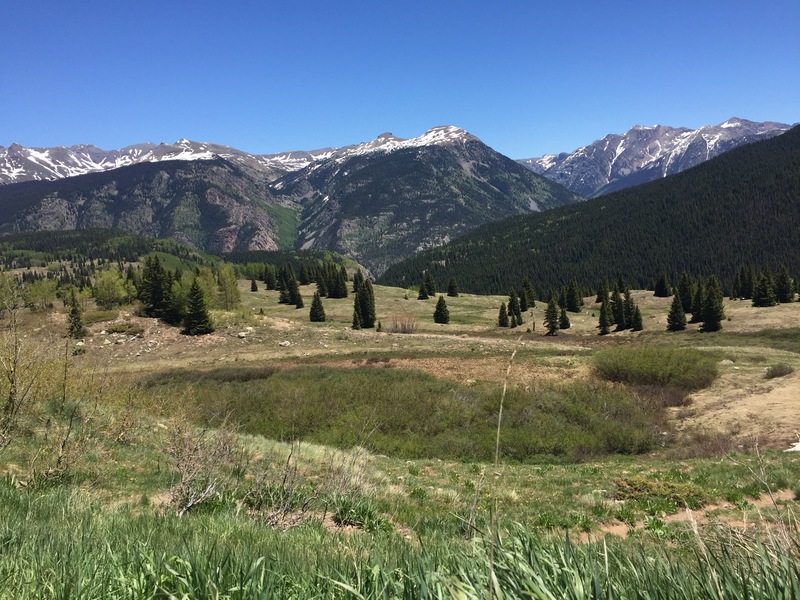 The view of the mountain meadow at the top of Red Mountain Pass. Fast, worn, serpentine roads with lots of traffic and no guard rails was quite the experience. Luckily for me, still sporting the scars of a high-speed crash from last year, a lumber truck paced many of us out of the mountains. Riders had multiple opportunities to pull off and photograph the beauty that we wished to remember. That is the point; the joy of seeing Colorado by bike. A small aid station full of happy, friendly residents awaited us in Ouray. Many riders decided that this was far enough for the day, and took rooms here. My riding buddies and I hammered the last 13 miles into Ridgeway. This was the point where I really understood the challenges of putting together this annual tour. Imagine 2,000 tired, hungry cyclists cruising into town, sporting the thousand-mile stare, finding that much of the amenities were spread out over a square half-mile, or at least that’s how it felt. I was so short of energy that when our luggage handlers put my bag a mere one isle over from where I had expected it, I was nearly reduced to tears. The beauty of having been a journalist is that I was able to find at least a little poise. I young man from the Good Samaritan Shelter tent, whom I had met earlier in the week, spotted me and gave me some food and helped look for my bag. Once I got some calories,found my bag and got my massage, I was able to enjoy Ridgeway. The view was the first thing we noticed. The view of the Sneffles Range from the outdoor camping area in Ridgeway. The little mountain town set up entertainment in the middle of their town park. The town, itself has made the transition from mining to art. Lots of public art, galleries and little eateries bordered the park, allowing riders to stroll easily to alternative dinner options. This would be a short night for many of us, after a punishing, though picturesque day. Day five was a relatively easy, though pretty warm day. 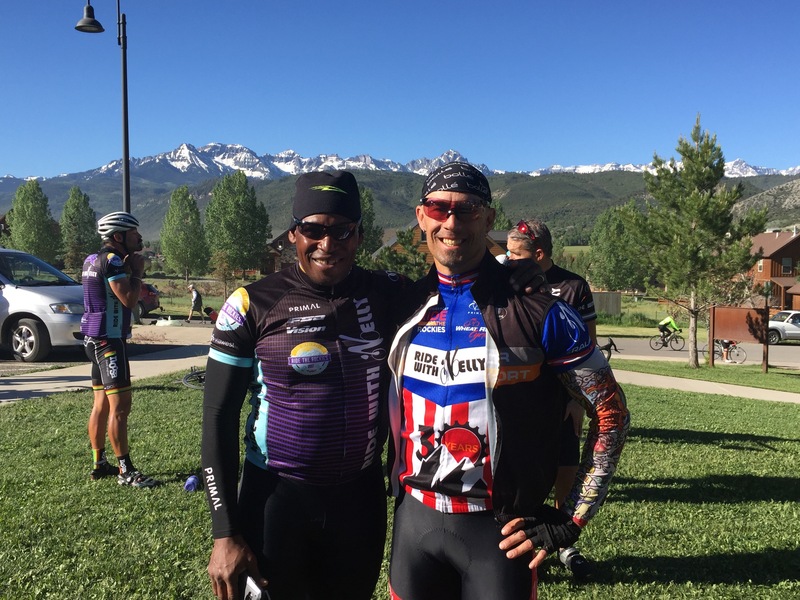 Former cycling pro, Olympic medalist and big-hearted fund-raiser, Nelson Vails, led a few riders to a special breakfast in Ridgeway before all embarked on the 33-mile ride to Montrose. 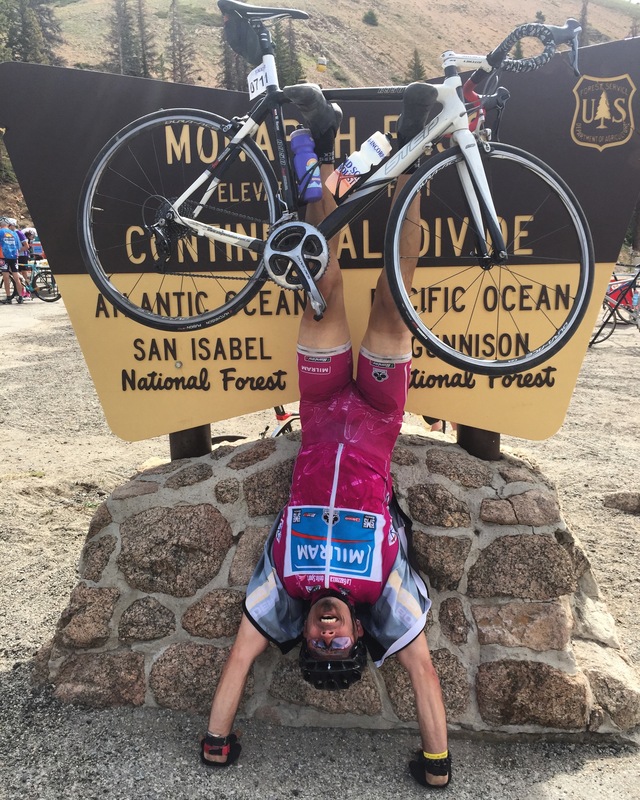 While there was an option for riders who had not suffered as much the day before, an additional 19 miles and a small climb, many simply took the opportunity of a recovery day. All of my riding buddies stayed together on the mostly-downhill ride. This also gave us plenty of time to sample what Montrose had to offer. Former elite track sprinter,Nelson Vails. Montrose is not usually what tourists seek out, but with it’s charming downtown and enthusiastic festival, I would consider returning some time. It’s out on the Western Slope, north of the Sneffles Range, just southwest of the Black Canyon of the Gunnison. The sixth day had a few climbs, but it was the descent and long false flat into Gunnison that I remember. We followed the river and Blue Mesa Reservoir into Gunnison, making for a relatively easy day. There were plenty of rider trains along the route. Cruising between the last two aid stations, we averaged about 28 mph. It was a beautiful thing. I had the chance to test some wildly-deep aero wheels. The whole day was great. The sixth day finishing town of Gunnison welcomed the ride for the third time in six tours. Gunnison has some great restaurants. All were full of hunger riders that Friday evening. El Paraiso was our choice. This was also the third time I had eaten here. It was for good reason. Everything was tasty as could be, including our sopapillas for dessert. As always, the host town had activities set up, but we had one more hard climb ahead, and a long drive back to the real world. Breakfast at the first aid station on day seven. The high-point of the RTR was waiting for us on the final day. Half the day was just the warmup. We rolled for 33 miles to the base of RTR’s final climb, 11,312-foot Monarch Pass. The pass averages about 5.2% with a maximum grade of 7% for 10 miles and 2,750 feet of ascending. It was unmatched in beauty. We had lots of time to enjoy it after seven days of riding. Donald on the Monarch Pass climb. After the top of the pass, it was literally all downhill into Salida. 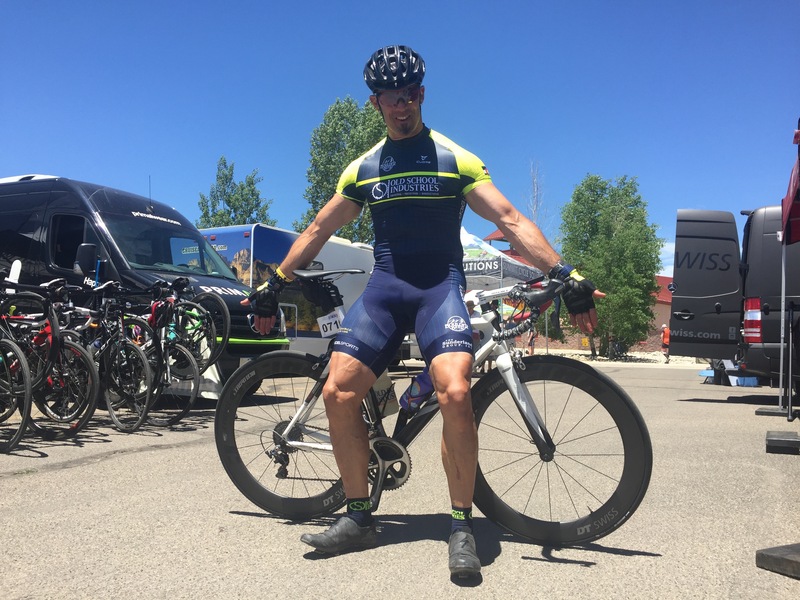 Once again, the tour rolled into Salida amid sunshine and the FIBArk whitewater festival. 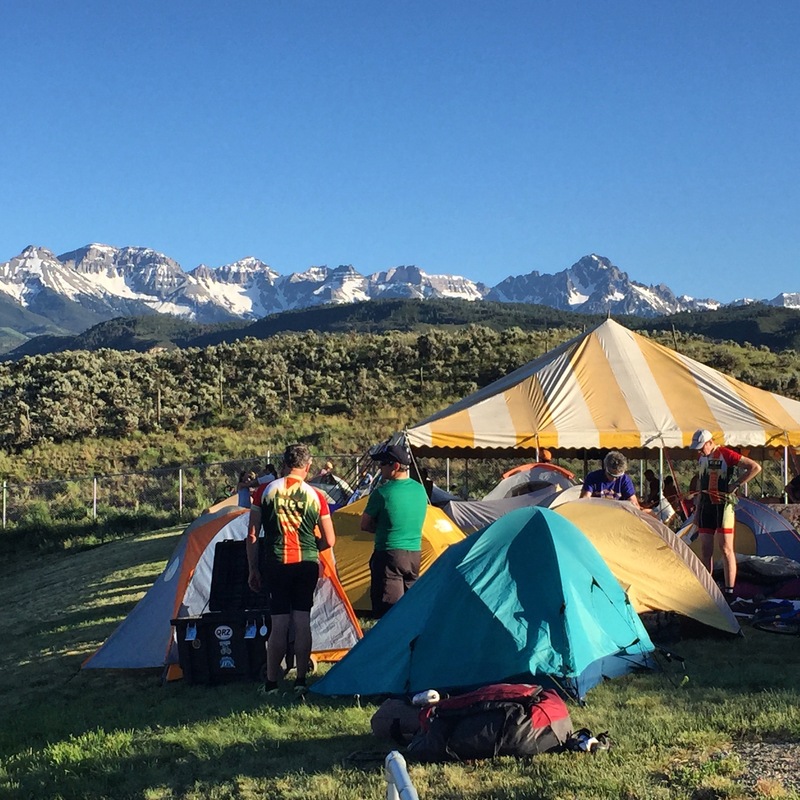 Again, Salida was all-in, hosting the finale for Ride the Rockies. Their park was jammed full of venders, great causes and riders looking for food and shade. The only thing that could have been better would be if my buddies and I had more time in town. Salad has always been a great host. Renee Wheelock put on and admirable tour for her first RTR effort. I don’t envy her position, having to deal with cranky, hungry, tired riders, though I have a feeling she took it in stride. I look forward to seeing her and the rest of the RTR crew next year. Next week, yes I am giving myself a schedule. I will review some of the equipment I got to use this year. Until then . . . This entry was posted on July 11, 2017 by Walt Out West. It was filed under Cycling photography/photography while cycling and was tagged with bicycling in Colorado, Gunnison, Monarch Pass, Montrose, Nelson Vails, Ouray, ride the rockies, Ridgeway, Salida.